Teeth whitening is a wonderful way to transform the appearance of your smile without having to invest a significant amount of time or money. Doing your research first will help you feel confident knowing the treatment is right for you and your smile. 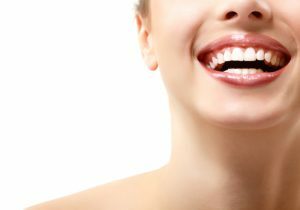 Most adults can greatly benefit from professional teeth whitening — keep reading to find out everything you need to know about this treatment! Your cosmetic dentist in Boston has put together a teeth whitening FAQ to help you make the best decision on teeth whitening. A: If you practice good oral hygiene habits and don’t have a habit for drinking strong black coffee, tea or red wine throughout the day, your professional teeth whitening results can last for many years. To get the most out of the treatment, make sure you brush your teeth for two minutes, at least twice a day, and floss your teeth daily. Visit your dentist at least every six months for a professional cleaning and polish. If you start to notice your results fading, a simple touch-up treatment should be enough to renew the dazzling smile you love to flash! Q: Will the Treatment Damage My Tooth Enamel? A: Professional teeth whitening is completely safe for your tooth enamel. In fact, it can be even safer than a treatment you can buy over the counter, which may tempt you into overuse or abuse of the solution if you are dissatisfied with the initial results. Q: Is Bleaching Safe for All Ages? A: We typically recommend teeth whitening for adult patients. Teens can also benefit, especially after completing orthodontic treatment. Patients who are not in acceptable oral health — like those who have severe cases of gum disease or dental decay – should not undergo professional teeth whitening. Q: What About Tooth Sensitivity? A: If you are prone to tooth sensitivity, your cosmetic dentist has the right teeth whitening solution for you. With the KoR system, you will apply a desensitizing paste to your teeth before you whiten, which almost completely eliminates tooth sensitivity for most patients. You may also use an anti-sensitivity toothpaste. However, people who are extremely vulnerable to sensitivity to heat or cold may need to stay away from whitening treatments altogether. We can get a better idea of whether or not you can benefit from whitening during an initial consultation. Q: Why Should I Visit a Professional for Whitening? A: After extensive monitoring and review over the past couple of decades, the American Dental Association (ADA) has determined that professional whitening treatments are both safe and effective for lifting stains from the tooth enamel. While some over-the-counter products are fine to use they will not be as effective as the systems used by your cosmetic dentist in Boston. Kraft & Schrott Dental Associates are a team of cosmetic dentists and specialists providing comprehensive, high-quality dental care for patients of all ages. To learn more about their treatments or to schedule an appointment for the same, you are invited to contact your dentist in Boston at 617-227-4924.